Contemporary style meets relaxing comfort at Bridge Creek Apartments. 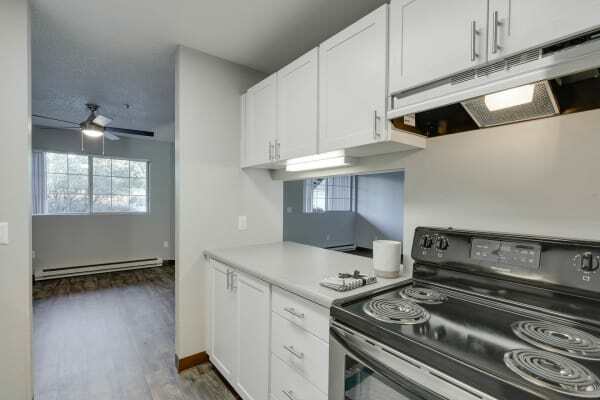 Here you’ll find affordable one, two, and three bedroom apartment homes nestled in Vancouver, WA, ideal for those craving chic design and all of the comforts of home. Ranging from 650 to 1,150 square feet, our spacious layouts provide you with the space you need in a floor plan that makes sense for you. Vaulted ceilings soar, and your own private patio or balcony extend your living space outside, where you can catch stunning views of flowering trees and greenbelt courtyards surrounding our community. Large closets make storage and organization easy, and garages allow you to come and go as you please, always knowing there is a spot for your car. Beautiful wood look plank flooring and plush carpeting grace your home, leading to a kitchen that’s modern and functional. Upgraded cabinetry and upgraded appliances in select homes have you feeling ready to take on a new recipe. And when it comes to laundry day, the in-home washer and dryer make it easy to get your clothes clean and get on with your day. 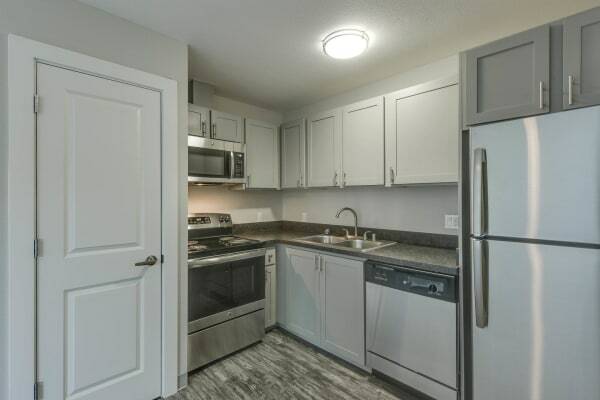 You’ll find the space you crave with a side of contemporary living at Bridge Creek Apartments. For the best apartment living in Vancouver, Washington, look no further than Bridge Creek Apartments. Schedule your personal tour today.